Heading to the range soon? This mixed bag of 7.62x54R ammunition is a great way to get you shooting out at the range for less! These new production rounds are available to purchase because of minor cosmetic damage to the retail packaging. 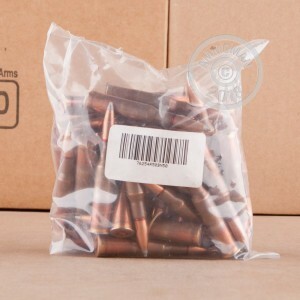 When the outer box is damaged, we can no longer sell the ammo as "New from the manufacturer," so we repackage it into loose bags of 50 and sell it at a discount! 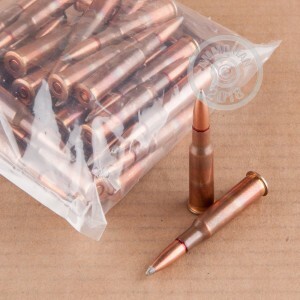 You can expect to see different manufacturers as well as bullet types in this 50 round bag. While this isn't the best option for long range performance, these mixed round bags are a perfect choice for affordable fun at the range. This specific product only contains brass casings. You may find berdan and boxer primers in this bag, but all the cases will be brass. THe Bullets will most likely be FMJ but getting some soft points is not impossible. Don't forget, at AmmoMan.com all orders over $99 will receive Free Shipping! So stock up and save more!